In March , the flowers are blooming and birds are singing. Russian psychologist Vygorsky defined learning as "the creation of meaning when a person establishes a connection between new knowledge and old knowledge". 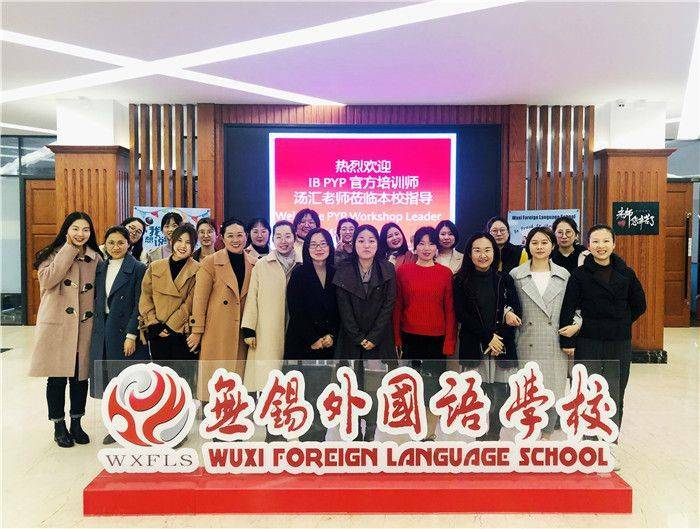 In order to improve teachers’ comprehensive ability and professional quality, on March 23 and 24, 2019, the International Curriculum Center of the Primary School of Wu Xi Foreign Language School invited IB trainer Tang Hui, who has rich teaching and training experience, to launch a two-day IB teacher training workshop for all teachers. With the warm welcome of all the teachers, Ms. Tang began the first day of training activities. 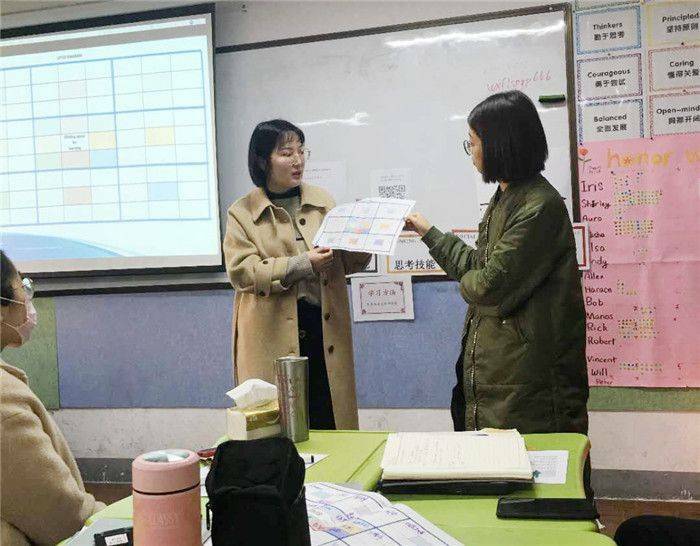 First of all, Ms. Tang learned about IB teaching experience of the present teachers through the activities of "Dancing partners" and "Let's line up", and carried out "Making space for learning" thematic training according to the current situation of the teachers. 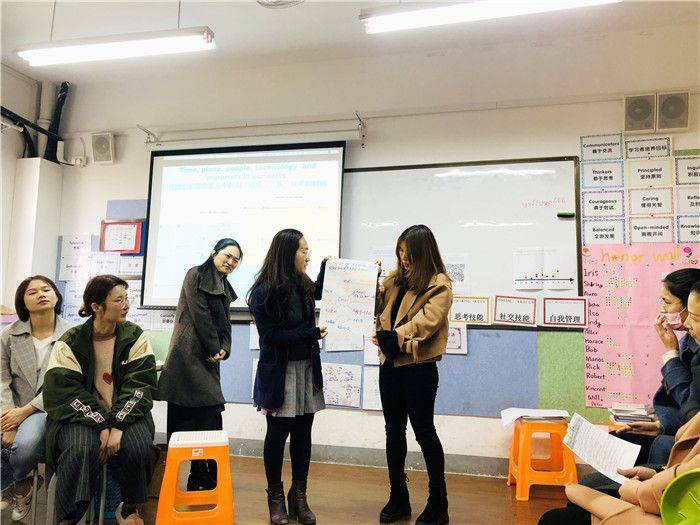 Teacher Tang's classroom atmosphere was relaxed and lively. 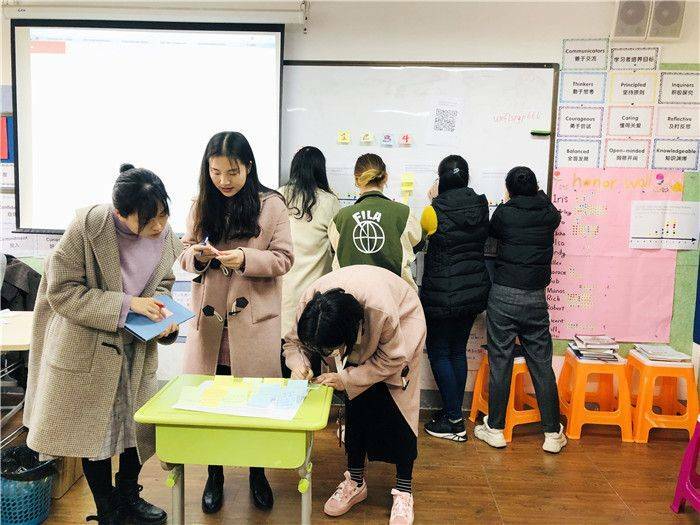 She introduced the importance of establishing a classroom convention and the concept of learning space to teachers through a variety of activities. She also helped teachers to set successful learning goals. 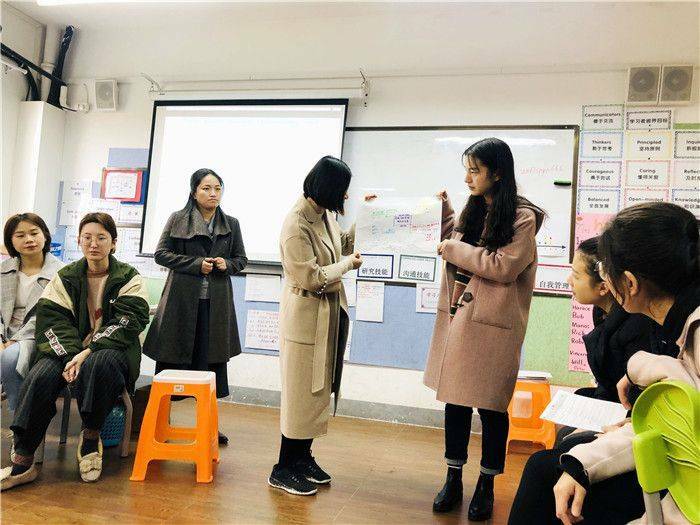 Then, under the guidance of Ms. Tang, the teachers launched a heated discussion on the topic of "safe learning space", and then exchanged with each other in the way of "inside-outside circle", "Lotus template" and "bus-station". The atmosphere on the spot was getting warmer and warmer. 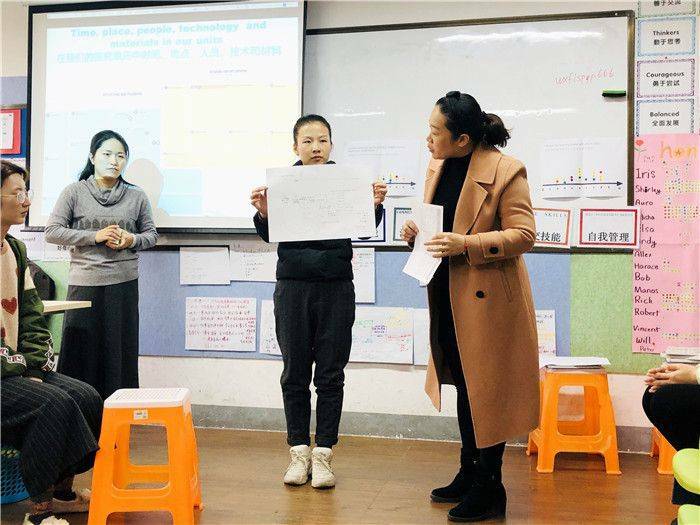 With the deepening of teacher Tang's training, teachers’ understanding of "learning space" has become more and more profound. The collision of ideas sprang up on the notes. When providing a safe learning space for learners, the sense of happiness and responsibility in learning will be enhanced, and students can also study and explore more effectively. 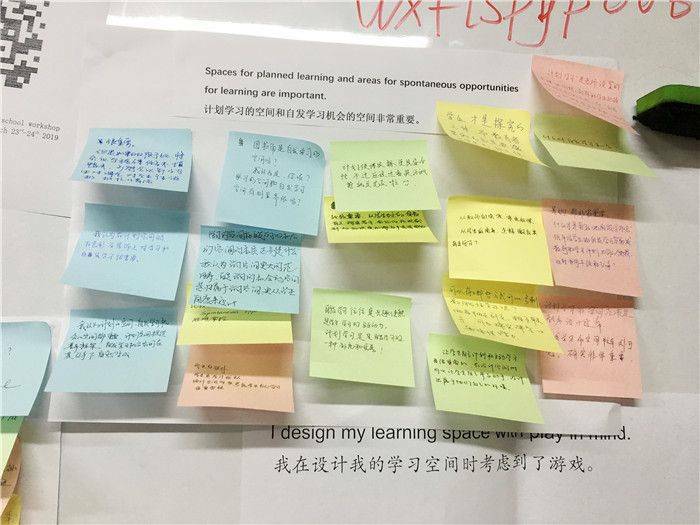 Since safe learning space was so important, how should we design learning space? Teachers began the afternoon training activities with such questions. Teacher Tang showed how to design learning space through concrete examples. Museum, Art Exhibition, Handicraft Exhibition, Furniture Shop, Carpet Shop, Lighting Shop, Outdoor Landscape, Sea, Lake, Forest Park... All can provide inspiration for teachers . At the same time, Ms. Tang also provided a list of PYP classrooms to help teachers arrange. For example, curriculum, class conventions, reading corners, student works, etc. All of these resources should be connected with students’ existing knowledge and help them to explore new knowledge. 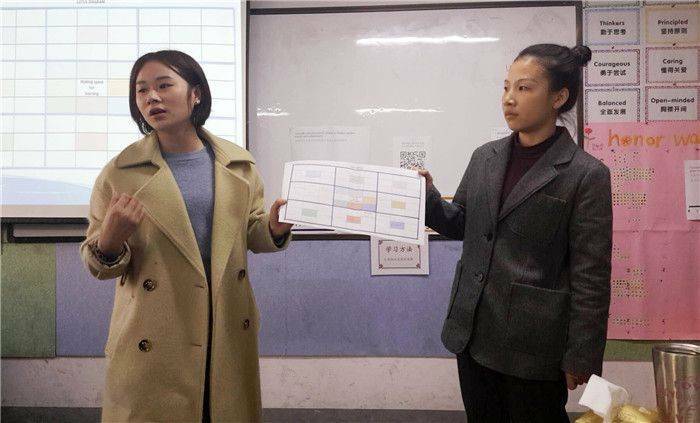 In order to help teachers better explore the theme through conceptual vision, Ms.Tang taught Pandora’s Box and Ferris Wheel Activities in person, and randomly extracted an object. In view of this mysterious object, the teachers worked in groups to explore how to interpret it with seven concepts. In practice, we have clarified the concept-driven learning. The first day of training ended with our happy smile. The next day's training activities began quietly in the first ray of sunshine. 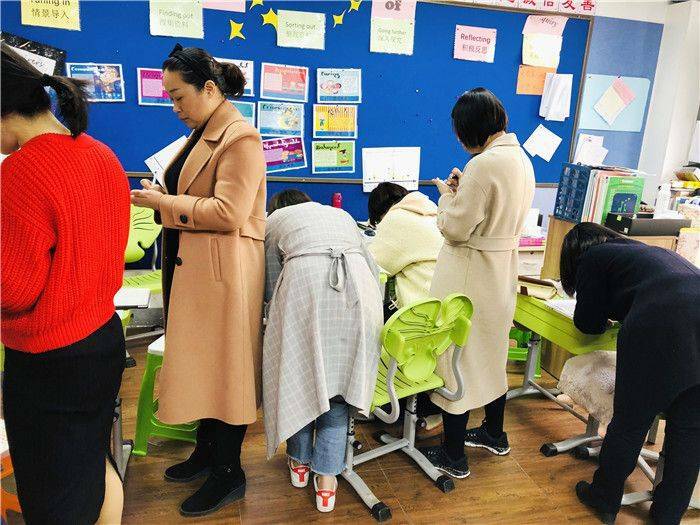 First of all, the teachers shared the results of concept-driven learning, and reflected that "flexible learning space is conducive to improving students ‘learning initiative, flexible classroom is very important." Teacher Tang uses "Chalk talk" to help teachers understand how to remove learning barriers. Teachers should consciously choose inclusive teaching methods, resources, and technology, learning and evaluation activities to support students ‘diversified development. The diversity of students includes: birthplace, learning ability, personality, personality, learning interest and so on. On this basis, an important part of learning is assessment, which can be formative, summative and peer assessment. The forms of assessment are also varied: lectures, presentations, interviews, quizzes, reflective diaries, classroom discussions, graduation exhibitions, growth manuals, etc. At the end of the training, the teachers sat around and made a summary of each person's training activities during the two days. Everyone spoke actively and the atmosphere was warm and friendly. Learning is a process of continuous summary, reflection and exploration. Although the two days of training were short, the teachers learned a lot.